Shifting gears away from Destiny for a bit, today Bethesda put out a nice little article about the changes headed to character leveling and progression in Fallout 4. One of the things that I’ve been really curious about was what kind of changes were going to be taking place with that. Prior to today, we knew that there was something happening, but no specifics. Now we know exactly how it’s going to work – and I really like what they’re doing. 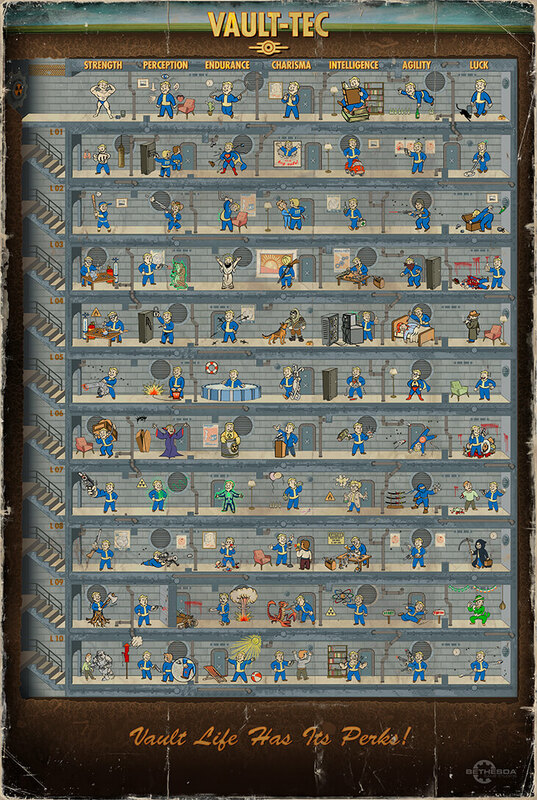 In the past Bethesda Fallout games, you had three things to keep track of – your character level, your skill levels and your S.P.E.C.I.A.L. stats. Each one of those played a role in determining which perks you could select upon leveling up. In Fallout 4, that’s all being streamlined – character level still exists, and is still dictated by XP; but skills and S.P.E.C.I.A.L. are being rolled together. It sounds a lot more like you only will need to worry about your S.P.E.C.I.A.L. stats now – the perks you select will be gated based around the amount of points you’ve put into them. That seems like it could keep some players locked out of certain perks, but there are a couple things that should keep that from happening. First, there isn’t going to be a player level cap. In that regard, Fallout 4 is going to be a bit closer to Oblivion. I would guess that certain enemies will scale with you as you progress, that way there’s always some challenge, even for end-game players. But it does give you even more opportunities to be able to grab, eventually, all the perks in the game. For a completionist like me, that’s a great aspect of the game. I already plan on sinking a ton of time into this game as it is, and the idea of being able to experience all the perks in one save file is a really nice thing. The other side of the coin though is that in order to put points into your S.P.E.C.I.A.L., you’ll need to use a top-level perk that lets you put a point into them. In previous games it was called Intense Training – with ten ranks. I would assume that there isn’t going to be a limit on the ranks this time around, but we’ll see. What originally worried me about that shift was that it sounded like a limit to the number of perks available. The cap on S.P.E.C.I.A.L. stats is still ten, which means 70 base perks. I was worried that would be it – 70 may seem like a lot, but in a game where 100 hours is bound to be the low end, that’s nothing. Luckily, today’s post cleared that up. Considering that a number of the perks have multiple ranks – many of which are where some of the classic perks will live now – the stat based perk count is looking to be right around 270. That’s a lot more appropriate for the scope of the game – and it gets better when you consider the likelihood that there will be quest-based and collectible-based perks. They confirm the latter by saying that the skill magazines now grant different levels of a perk, as you collect them. They used the Grognak the Barbarian skill book – a series mainstay – as an example, as it gives you the Barbarian perk. Bethesda is saying that the pacing is closer to Skyrim‘s leveling, which I remember being pretty quick early on, before slowing down at the higher, more powerful levels. If that’s true, that should mean that we’re able to get a good base of perks early on, before we dig into the really tough sections (Deathclaws). From what they’ve been teasing with the perks, it looks like specializing in early game builds is probably in your best interest, while still allowing you to have a really well rounded character in end-game play. With the removal of skills, some classic perks have been looked at again and shaped into new forms that make sense with the new system. Gun Nut is a good example – it used to just be a boost to Small Guns and Repair, now it helps determine what weapon mods you can put together. 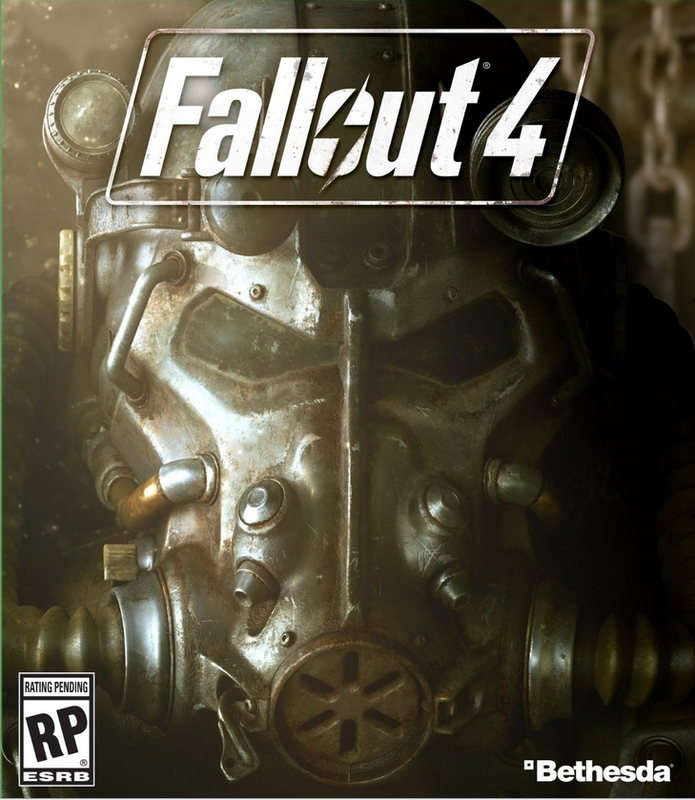 As we get closer to the November launch of Fallout 4, I find myself getting more and more excited for it. It was already my most anticipated game of the year, and while I am still trying to stay relatively blind as to a lot of details, things like this and the S.P.E.C.I.A.L. videos that they’ve been releasing each week really help keep the hype high.